Regional: Igor in Young Frankenstein (Asheville Community Theatre); Trinculo in The Tempest (NC Stage Company). 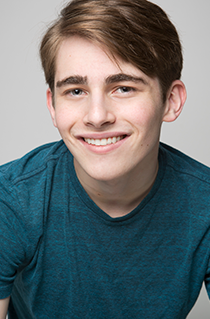 University: Billy Flynn in Chicago (Pauper Players); Leo Bloom in The Producers (Company Carolina). Education: BA in Dramatic Art and Oenological Studies from UNC-Chapel Hill, Class of 2020.